Networking – what’s that then? Simple enough really then. Its about communication, getting to know people and sharing information. In a business context it develops into another sphere of know, like and trust – so we build relationship s that enable us to get to know someone, get to like them (or not) and trust them to do the thing they say they do. Networking is an art form though. 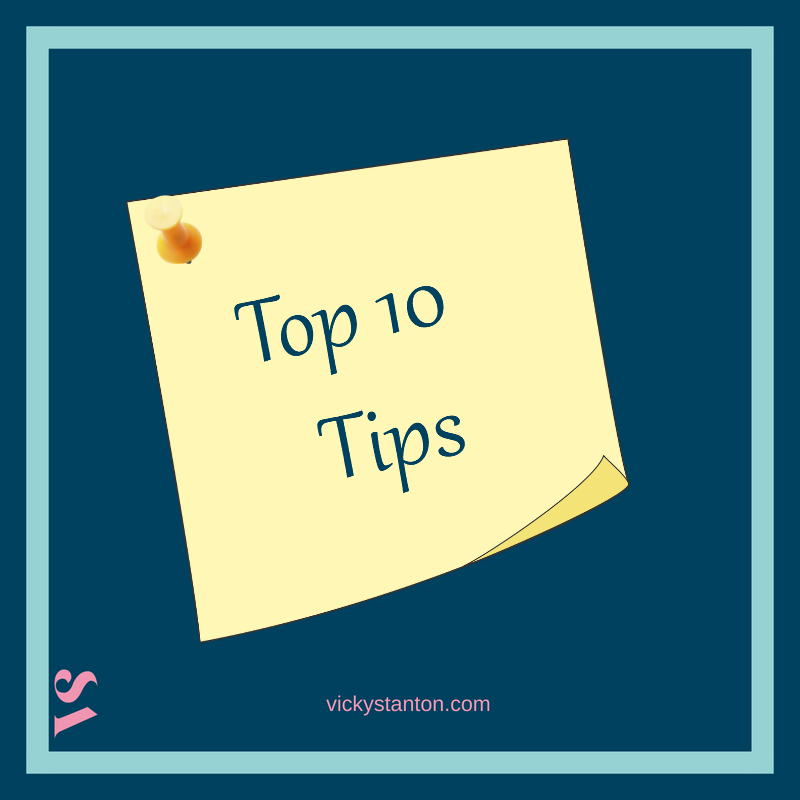 Here are my top 10 tips to make your networking more effective. You can only be you and if you start building relationships being someone you are not, then the know, like and trust theory goes out the window. No one can get to know like and trust you alter ego! We are all in business to make money – whether that is the end result or the vehicle for other things. However networking is not about meeting people and selling your stuff, thrusting business cards in their hands or going in with that What’s in it for me mentality. Networking is about building connections and relationships. Think about how you can help others. For example – Who do you know that may be a useful connection to them? Experience several different sorts of networking before you decide which is right for you. There are network groups tat are very formal, very focussed and work on a referral basis, there are some that are more of a drop in, buy a cup of coffee and chat, some which have a structure but are a little more relaxed. They vary in timings from very early morning to evening and all times in between. It’s worth considering all the factors to see which will work for you. Do not turn up at a network event and expect to ‘do business’ on week one. Now in fairness it has happened to me once but that is most certainly not the norm. Remember you need to build up the know, like and trust thing and you can’t possible do that on week one or even two or three. So you need to decide that you are in this networking game for the mid to long haul really. Make a commitment and be consistent. I have seen lots of people visit a networking group and then decide not to join or come again because ‘ there was no one in the room that I can do business with.’ Just take out your phone .. go into your contacts and just see how many you have. Just think every person in that room may have a similar number of contacts, some of whom may just be looking for the thing you sell or do. If there is a voluntary team that lead the group is there a vacancy? If so could you commit to being more involved? Being involved on a team raises your profile. People in the network will get to know you and it is a great way of giving back to the network. A great question to ask of your fellow networkers BUT do you have your answer ready for when it is asked to you? Be able to articulate what you are looking for and how others could help you. When you have made your initial or ongoing connections at the network meeting – take some action when you get back to the office. Send them email to say it was great to connect and mention something they said ( just to show you were actually paying attention) Connect them to someone that you think may be a useful introduction. If you said you would do something – now is the time to do it. Share what you do, talk about the problems you help your clients solve, share a testimonial but do not assume everyone wants or needs your thing! concentrate on building that relationship and if they really do want your thing, then they know exactly how to find you. Getting to know someone does not revolve around the business chatter. Get to know them personally. Find out about their family, what they like to do ‘out of work’, where are they going on their holidays etc etc. Talk about the small stuff .. find out what makes them tick and what floats their boat – you never know what you may have in common! There are lots more tips to networking but these at my key ones. Concentrate on building the relationships and how you can help and the rest will follow. Enjoy and if I can help – just give me a shout.